The eighth novel in the New York Times bestselling series Big Nate. My 7 year old is as fussy about books as he is with his food. Extremely fussy. He is a great reader, and flies through a book series he loves. Getting him to try new books, however, is a mission. 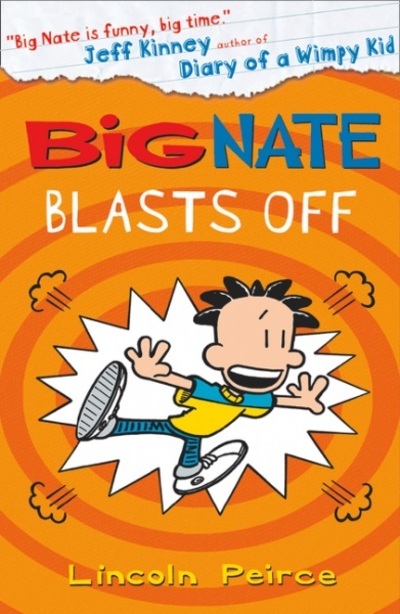 When we received Big Nate Blasts Off by Lincoln Peirce, I wondered if he'd accept the reading challenge. Afterall, this is a series he is not familiar with. I needn't have worried; the first few pages had him locked in. Big Nate is a sixth grader with cartooning talents. Although he likes the idea of being published in the oh-so boring student paper, his cartoons are too controversial for the school's teachers. As such, Big Nate sketches on the sly, which lands him in trouble. In the latest novel, Nate, along with his gang of friends, are off to the Science Museum, but not before Nate's Dad breaks some bad news in a family meeting. Not only that, but Nate is at wars with one of his school year pupils. Everything works out for Big Nate in the end of course, although his latest cartoon lands him in trouble, again, at the end of the story. Big Nate is recommended for readers aged 8 to 12. The content is perhaps a little older than my 7 year old son is used to, but it didn't matter. Big Nate books are funny and easy to read because chapters are broken down into cartoons with character sketches and text. That said, there are enough words and scenarios which challenge and educate young readers. Now my son has reached the end of Big Nate Blasts Off by Lincoln Peirce, he wants to read the rest of the series, which in my eyes, is a huge thumbs up! 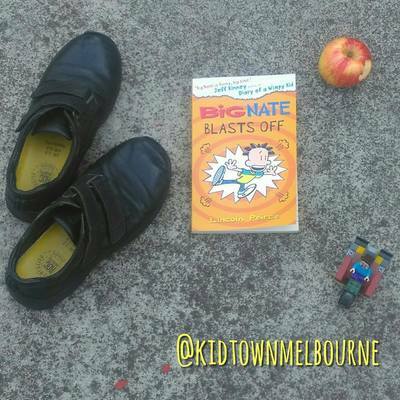 Big Nate Blasts Off by Lincoln Peirce is published by Harper Collins, available to buy from all good books stores.